Comments Off on Preview: X-O MANOWAR #19 Breaks New Ground on September 26th! Preview: X-O MANOWAR #19 Breaks New Ground on September 26th! As first revealed at CBR, Valiant is proud to present your first look at the lettered and colored pages of X-O MANOWAR (2017) #19 – a brand-new story arc and new jumping-on point for Valiant’s armored barbarian prince, as well as the 75th overall issue of X-O MANOWAR published since the launch of Valiant Entertainment in 2012! On September 26th, Aric of Dacia once again takes on his role as Earth’s galactic defender, as Eisner-nominated writer Matt Kindt (Mind MGMT) and incomparable artist Juan José Ryp (BRITANNIA) bring the world of the groundbreaking DIVINITY and ETERNITY series to X-O Manowar’s world! 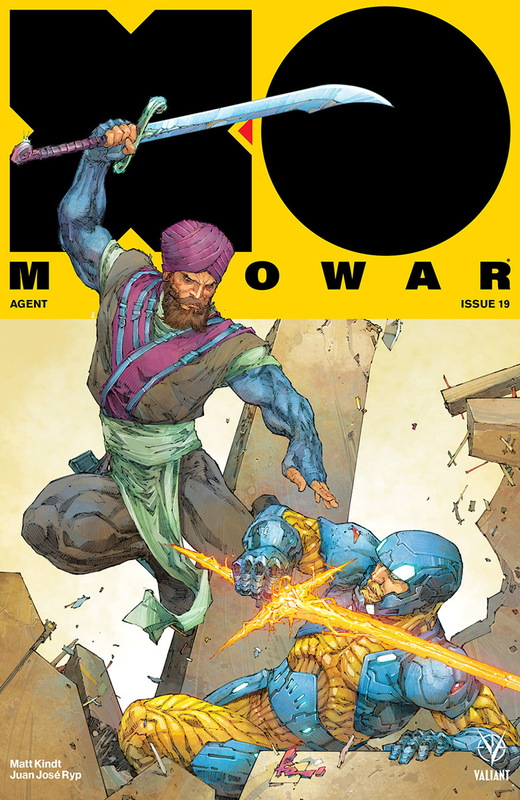 Eternity rises again when X-O MANOWAR #19 blasts into stores on September 26th with the start of “AGENT” – featuring covers by Kenneth Rocafort (Sideways), Alan Quah (Orphan Black), Mico Suayan (BLOODSHOT SALVATION), and Renato Guedes (SHADOWMAN)!